Using Coconut Oil as a makeup remover has been quite a controversy in the beauty world. It is said to have comedogenic properties that can clog pores and lead to blackheads or breakouts. There are also a lot of people who don’t swear by having oil on their face especially if their skin is already on the oilier side. However, recent studies have proven that in order to be able to use Coconut Oil as an effective makeup remover, it needs to be organic, unrefined and cold-pressed. It also has anti-bacterial properties, anti-yeast, and yes, it is safe. Just by the sound of that, I’m already starting to be a fan. 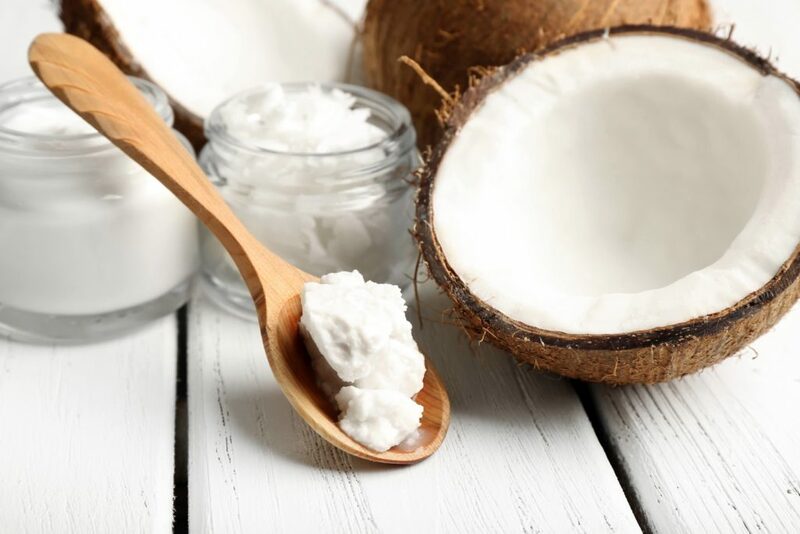 Since the ingredients in the Coconut Oil has saturated fatty acids, and if the quality of the coconut oil is poor, it can be contaminated and badly purified. If this is the case, it can be highly comedogenic. It is recommended that you only use the purified, cold-pressed coconut oil in liquid form. Always check the label for these properties! Now, what exactly differentiates the cold-pressed to the regular one? When it is manufactured, oils are extracted with chemicals that bind to active ingredients. The solvent agents bind to the lipids in coconut oil. Which basically means that the harmful chemicals can be absorbed by the skin when you apply it. Cold-pressed Coconut oil doesn’t have harmful chemicals or toxins that can affect the skin. Thus, it is highly recommended that you choose this. While Coconut Oil isn’t exactly a holy grail makeup remover that can remedy all your skin woes and makeup cleansing, it’s a good substitute for those who have sensitive skin and loves going all-natural with their products. Not only that, but it is also a cheaper alternative to makeup wipes and store-bought makeup removers that have more harmful chemicals than you can imagine. Just the jar and your fingers to apply it all over your face and you’re good to go. Again, don’t rely on this to do the moisturizing for you. We highly recommend purchasing a big jar, since Coconut Oil can be used in many ways. I swear by this and it works just fine. I have sensitive skin and I’ve never had issues. Love! ? This works well for me compared to other makeup removers. It doesn’t leave my skin feeling dry after rinsing and I love that. Although coconut oil can’t breakdown some waterproof mascaras, it removes foundation and brow products well. I love coconut oil not just for makeup remover but also for my hair. I keep jars of that in my cupboard! I agree that it works well with your hair too. I know there are a lot of options of coconut oil in the market and I honestly think it’s a lot complicated than to just buy an actual makeup remover. As long as you rinse it off properly, it won’t clog your pores. I use Konjac sponges to rinse my face after using this. I find that it removes the oily residue quickly. I hate how coconut oil feels on my skin. I’ve tried it before and it’s okay but I just don’t like putting oil on my face. Coconut oil lessened my breakouts. Maybe it’s because of the antibacterial properties. I’ve always loved using coconut oil eversince I tried it. I’m thinking of it like among the chemicals that I put on my face for skincare, I should at least have one that’s organic. I agree with you. I switched to coconut oil just a few months ago and I would never go back to using my old removers.